You will earn 6,615 Reward Points. Earn 1 reward point for every 1 dollar spent. The Kolpak P7-108-CT Walk-In Cooler is an easy-to-install, functional cooler that uses a 3/4 horsepower, medium-temperature, top-mounted refrigeration unit to keep its contents chilled and fresh. It features a durable 26 gauge embossed galvalume interior & exterior, a .100 smooth aluminum floor, and a 2.5" dial thermometer for optimal temperature control. This cooler measures 90 inches tall, 116 inches wide, and 93 inches deep. Outdoor package available. The high-quality Kolpak P7-108-CT Walk-In Cooler has ample storage space to keep all of your refrigerated items. 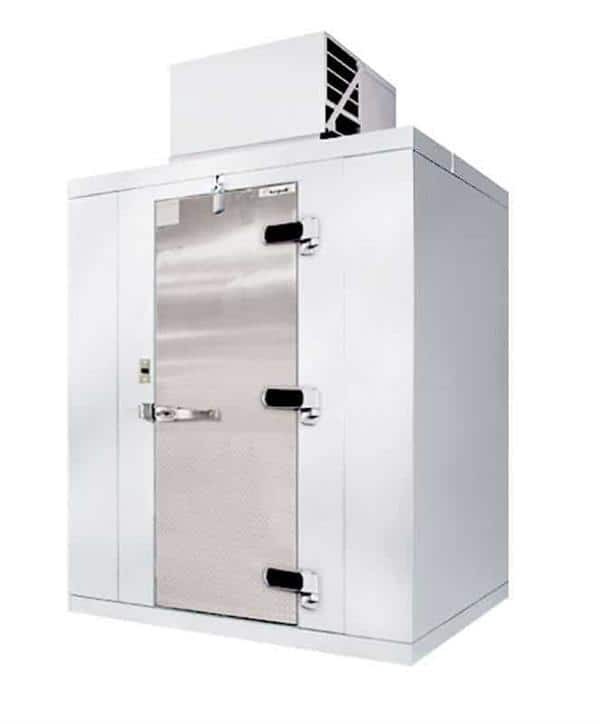 This Kolpak P7-108-CT Walk-In Cooler also comes with a top mounted/ceiling mounted compressor. This cooler is 90 inches tall, 116 inches wide, and 93 inches deep. Good product. The units install easily and function great!